That's how many WIU: The Right Choice yard signs and banners have been delivered and installed, from southern Illinois (and into Missouri) to northern Illinois and all points in-between, by student and faculty volunteers, including Western Illinois University Economics Graduate Student and Honors College Graduate Assistant Wil Gradle. And now, Gradle wants to see Leatherneck pride go viral. 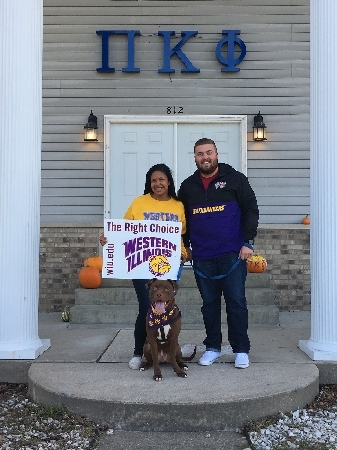 WIU faculty, staff, students and alumni are invited to submit photos in #TheRightChoice social media contest from Nov. 1-Nov. 25 for a chance to win a variety of WIU-related prizes. Prizes will be awarded in the following categories -- business/industry; student organization; general -- for the most creative photograph, for the photograph receiving the most shares and for the photograph receiving the most likes featuring The Right Choice yard sign or banner and using the hashtag #TheRightChoice. To enter a photo in the contest, participants must appear in the photo with the yard sign and must use the hashtag on one of the following social media outlets (Instagram, Twitter or Facebook). 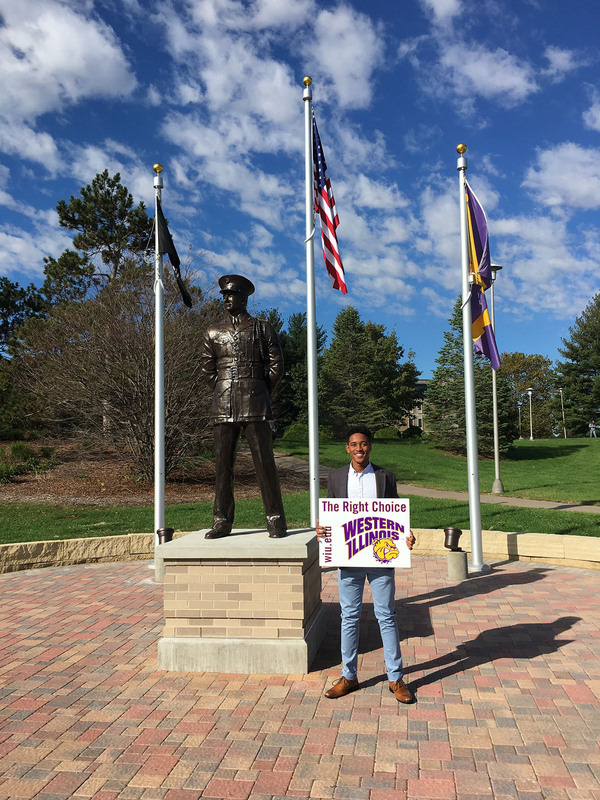 "For the last 115 years, Western has been the right choice to obtain a premiere college education," Gradle said. 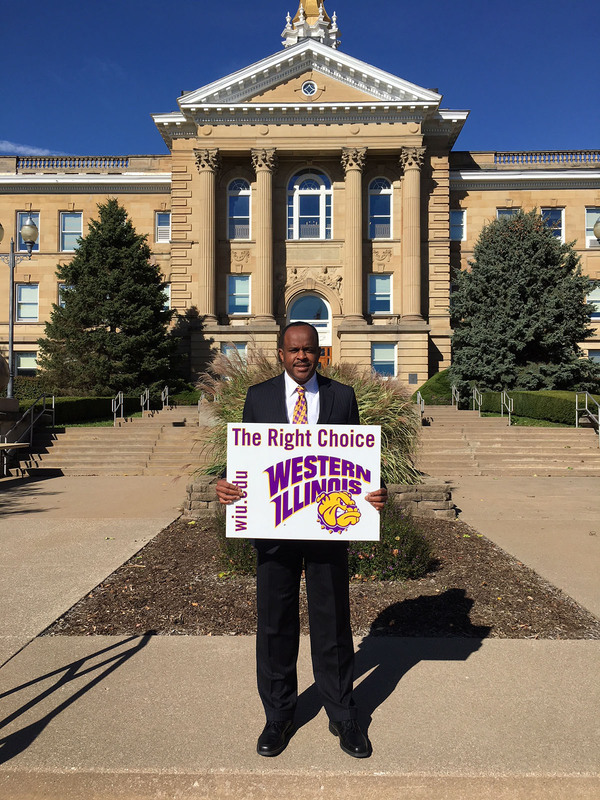 "Help us tell the world by sharing that WIU is #TheRightChoice!" 1. 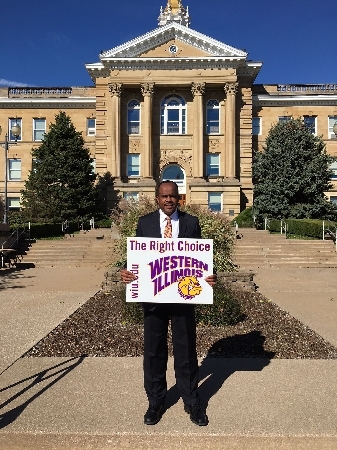 Photo must contain WIU: The Right Choice sign. 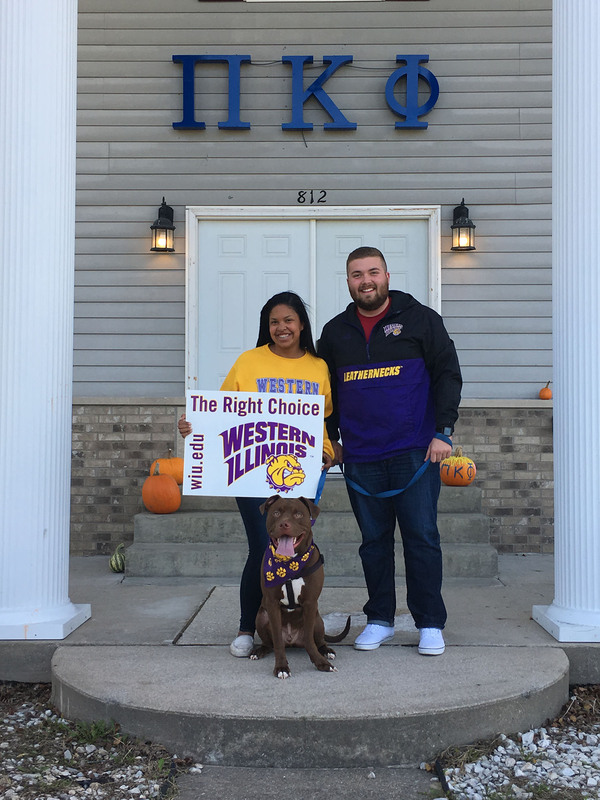 * For submitted photos, tag Western Illinois University -- Instagram: westerniluniv; Facebook: Western Illinois University; and Twitter: @WesternILUniv in the photo as well as using the #TheRightChoice. 3. Photo submissions will be due by midnight Nov. 25. The photos will be judged Nov. 27, and winners will be announced Tuesday, Nov. 28. 4. Photos cannot contain any reference to alcohol or drug use; profane/inappropriate gestures; or inappropriate attire (e.g., no swimsuit photos or clothing that bears inappropriate logos). These photos will be discarded. 5. By entering a photo, participants give WIU, its assigns, licensees and legal representatives the irrevocable right to use the name and photographic image in all forms of media (including the Internet), and participants waive any right to inspect or approve the finished version(s). 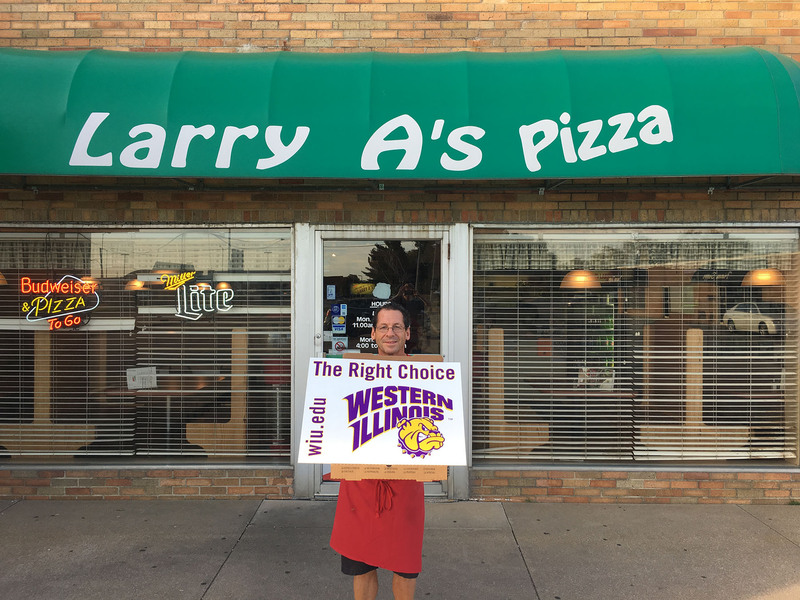 Note: It is recommended that the individual submitting the photo follow the Western Illinois University Instagram, Twitter or Facebook page so that the contest judges can more easily find and identify the photo. 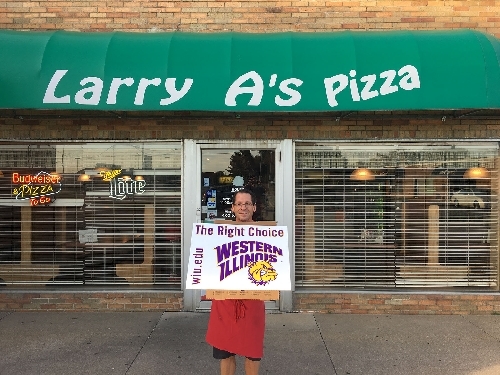 For more information about the contest or to request a yard sign, contact Gradle at WJ-Gradle@wiu.edu.